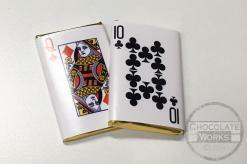 Chocolate playing cards in a variety of designs. 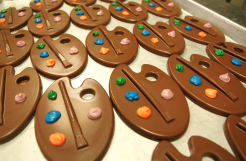 Chocolate poker chips in a variety of denominations. Customised small chocolate in clear wrapper. 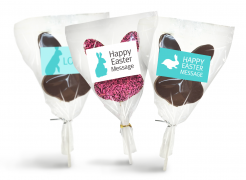 Create your own chocolate with your logo or design embossed in chocolate. 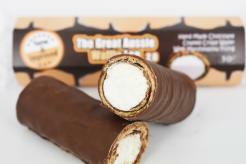 Chocolate moustache on lollipop stick presented in clear heat sealed wrapper.